A brilliant lecture by Dr. Gary Miller on the doctrine of Christianity and insight of how to view the Christian belief from a muslim's perspective. how to ask a scholar a question. This is something I do which it is also a reminder for me. First of all you should observe the scholar and see if he is receptive to questions, he may be tired and need rest, or the session may be over and people may have to leave that area. The question: you need to make the question as short as possible, really think about the question and don't ask questions that have been asked before. Listen to lecture or lesson carefully; has the scholar already answered the question. Don't waste the time of the scholar. Also wait until the subject is completed because your question be answered late on in the lesson. Please also note you may come across scholars who do not like to be asked questions and this can a bearing on the answer that you may recieve. If you come across this then try to ask someone else and do not be offended. Your question should be clear and he should be able to hear your voice. After you have asked the question, give him/her time to think and respond, this is the most important advice, because they may give you more than what you asked for. If that’s the case wait listen carefully, they be answering your question indirectly or explaining the bigger picture. Once they have finished speaking then respond and wait again. Ask now for clarification, if you need to. Don't speak over the scholars words, let the scholar finish. After you have asked the question, thank him for the lecture/lesson and his answer. If you didn’t get the answer that you want and need to ask someone else, do so but don't mention you have spoken to someone else and this should be avoided. Remember the greatest statement that a student ever asked was, "I don't understand." The best answer was, "I don't know." 4. Once they begin speaking let them finish. Do not interrupt, thinking they have misunderstood the question. In fact never interrupt once they have started. 5. Once they have finished, ask for clarification. 6. Thank them and ask for a supplication! Try this out this method and provide us with some feedback. When the question has been answered and you have found wanting in the question; ask again but be careful your question may not have an answer or it might be better for you if the question is not answered. Some questions do not have answers because they are flawed, logically. When Adam (upon him peace) sinned and asked for forgiveness he asked “By the Truth of Muhammad.” Allah Subhanu wa ta’ala asked him, “How do you know about Muhammad?” He said he gazed upon the throne and I saw there is no god but Allah and Muhammad is the messenger of Allah. I saw on every cloud the name Muhammad, I entered Heaven I saw his name on every palace, in every room, on every tree, every angel and on the great tree (that shades heaven) every leaf had his name written on it. If you cannot view this video please go to these links and view them from youtube. Then he sent for Umar (may Allah be pleased with him) and when he arrived, told him, “I am going to give you a final injunction. Know that Allah has rights over you in the daytime the discharge of which He will not accept at night, and that He has rights over you at night which He will not accept to be discharged during the day. He does not accept the supererogatory act of worship until that which is mandatory has been performed. The only man whose balance is heavy is he for whom it weighs down on the Day of Arising by virtue of his following the truth in this world although it was a heavy burden upon him, for it is the nature of a balance in which only the truth is placed to be weighted down. And only the man whose balance is light is he for whom it is light on the day of Arising because of his pursing vanity and its easiness to bear for him; and lightness is the nature of a balance in which nought is placed save sanity. Muhammad Alexander Russel Webb was born in 1846 C.E. in Hudson, Columbia county, United States of America. After completing his education at Hudson and New York, he began to write as a short-story writer and an essayist. In a short time, he excelled in journalism and served as the Editor of 'St. Joseph Gazette' and 'Missouri Republican'. In recognition of his broad knowledge and expertise in American and international affairs, he was appointed as the United States consul at Manila, Philippines in 1887. During his stay in Manila, he studied Islam as a way of life, interacted with native Muslims and some Muslim businessmen from India, and after protracted study embraced Islam. Soon after that Muhammad Webb traveled to several predominantly Muslim countries and developed a lasting interest in sharing the truth of Islam with his fellow Americans through the 'Islamic Propagation Mission.' In 1893, he wrote a book entitled "Islam in America." Muhammad Alexander Webb died on October 1, 1916. The following is Muhammad Webb's account of his journey to Islam as reported in the abridged version of "Islam - Our Choice" published by Begum Aisha Bawani Wakf, Karachi, 1970. I have been requested to tell you why I, an American, born in a country which is nominally Christian, and reared under the drippings, or more properly perhaps the driveling, of an orthodox Presbyterian pulpit, came to adopt the faith of Islam as my guide in life. Fortunately I was of an enquiring turn of mind - I wanted a reason for everything, and I found that neither laymen nor clergy could give me any rational explasm and monads (explanation of this faith), and yet not one of them could tell me what were mysterious or that they were beyond my comprehension. I have spoken so much of myself in order to show you that my adoption of Islam was not the result of misguided sentiment, blind credulity, or sudden emotional impulse, but it was born of earnest, honest, persistent, unprejudiced study and investigation and an intense desire to know the truth. The essence of the true faith of Islam is resignation to the will of God [Allah] and its corner stone is prayer. It teaches universal fraternity, universal love, and universal benevolence, and requires purity of mind, purity of action, purity of speech and perfect physical cleanliness. It, beyond doubt, is the simplest and most elevating form of religion known to man. What do we usually mean by 'Normal'? We mean that he or she is like everyone else, behaves as most people behave, and stays within current conventions. Normal folk are certainly not religious, or if they are they keep quiet about it. But they do have a problem, because now-a-days the idea of what is normal changes from one decade to another. Fortunately the popular press keeps them up-to-date by surveys and advice columns. A recent survey in the US is supposed to show that most people commit adultery, so now we know that fidelity and marriage are abnormal and therefore a little shameful. How does this fit in with 'Living By The Book'? There is an Arabic word frequently occurring in the Quran: 'aktharuhum': it means most of them, most people. Quran: And the word of your Lord has been accomplished truly and justly; there is none who can change His words, and He is the Hearing, the Knowing. Normality in fact has nothing to do with statistics. It refers to a norm, a model of perfection, an example to be followed. It indicates what we should be. Normality is therefore something to strive for, something at which to aim, it is not what most people do. It is what they would do if they lived up to their human potential. Some catholic poet said that the only real failure in life is the failure to achieve sanctity, a view with which Muslims can agree in terms of what we call 'ihsân', meaning spiritual excellence. For us this excellence is exemplified in the Prophet of Islam, Muhammad he is the human norm for every Muslim. We fall short of that norm, of course we do, what matters most, is where we fix our eyes and aim our intentions, rather than whether we actually hit the target. And one day maybe - just maybe - He will lift us up. And since the greatest distance means nothing to Him, bring us home in a flash. "Their apostles said to them: We are nothing but mortals like yourselves, but Allah bestows (His) favors on whom He pleases of His servants, and it is not for us that we should bring you an authority except by Allah's permission; and on Allah should the believers rely. And what reason have we that we should not rely on Allah? And He has indeed guided us in our ways; and certainly we would bear with patience your persecution of us; and on Allah should the reliant rely." Normality, defined in relation to a norm, is a model in terms of which we try to shape our characters and our behaviour. And this involves living up to our human potential. The word 'human' has different meanings for different people; for secular thought: man is a clever animal, whose potential is to become even more clever, until it is master of all. For Islam, as for Christianity, humanity can only be defined in relation to God. We are, it is said, made in His image, not in the image of a wolf, a monkey or a rat. Today when people are urged to be themselves and develop their full potential, no distinction is made between the highest of which we are capable and the lowest, which is very low indeed. Perhaps it is just as well that this advice is seldom taken literally. In real life most people would still rather be someone else than themselves, whether it is the matter of a boy or girl, modelling themselves on a popstar, or an older person, imitating someone they admire. One way or another people do need to look beyond themselves for a model. But what kind of model? It has been said with good reason that those who do not aim at the highest, are likely to aim at the lowest. And Muslims say, that those who refuse to obey God will inevitable end up by obeying the devil. That is to say: you are a creature in constant need, whereas He is Plenitude and has no needs. Think of the infant, totally dependent; think of the aged man or woman, no less dependent. There is an interval between the two ends of life, during which we can pretend to be in command of ourselves, but it's only a pretense. Watch any successful man or woman when disaster strikes, ...it was all a big act. At heart most people know this, which is why most people deep down are afraid. But only when we acknowledge our dependence, can we expect support from Him, who is alone Independent. God speaks thus in the Quran: "Say: O my servants! Who have acted extravagantly against their own souls, do not despair of the mercy of Allah; surely Allah forgives the faults altogether; surely He is the Forgiving the Merciful. The Quran frequently substitutes the name ar-Rahman, the All-Merciful for the name of Allah. Overflowing mercy created (all) what is created, and how could mercy leave this creation to its own devices. It did not - hence the books, revelations, the words of guidance. But words are not always enough. We need to be shown how the book's guidance works out in real life and so we have been given a norm. A living reading exempler. "And We have not sent you but as a mercy to the worlds." Sûrah The Prophets, verse 107 ... God tells Muhammad and the Lady Ayesha, questioned about her husband's inner nature, said: "His nature is that of the Quran." In short he embodied the Quran and demonstrated it, day-in and day-out, what the book means. For the muslim, 'living by the book' means above all else, following the example of the man through whom the book was transmitted to mankind and since he is supremely lovable, doing so most willingly, as labourer of love. Repentance is a key. And Taqwaa [awareness of Allah] is vast. And Uprightness is the source of rectification. Furthermore a servant is never free of either blunders, or shortcomings, or lassitude. Therefore never be neglectful of Tawbah [repentance], and never turn away from the act of returning to Allah (SubHana Wa Ta`ala ), and never neglect acts that bring you closer to Allah (SubHana Wa Ta`ala). Indeed, every time one of these three occurs, repent and return. Every time that you make a mistake, listen and obey. Any time you display shortcoming or lack of enthusiasm, don't desist in your efforts. Let your main concern be to remove from your outer state anything that is displeasing, and then maintain its outward state from continuous counsel. Continue doing this until you find that your fleeing from anything outwardly displeasing is second nature, and your avoidance of the boundaries of prohibited things is as if it acts like a protective net that is placed before you. At this point, it is time to turn inward, toward your heart's presence, and to its reality with both reflection and remembrance. Don't hasten the end result before you have completed the beginning. But likewise, don't begin without looking toward the end result. This is so because the one who seeks the outset at the end loses providential care; and the one who seeks the end at the outset loses providential guidance. Act in accordance with principles and the appropriate legal rulings, and not in accordance with stories and fantasies. Don't even consider stories of how things went with others, except as a tonic to strengthen your resolve. Certainly not as a reference based upon their outward forms, or what they seem to be telling us. In all of this, depend upon a clear path you can refer to, and a foundation that you can depend upon in all of your states. The best of these is the path of Ibn Ata'illah, given that in it is a clear direction to Allah. Do not take from others' words unless it is in accordance with your own path, but submit to their implications if you desire realization. Avoid all forms of vain and foul speech to your absolute utmost. Put aside anything that you cannot discern its benefit immediately. Beware of being extremely hard on yourself before you've obtained a mastery over it. But also beware of being too lax with it, in anything that concerns sacred rulings. This is so because it is constantly fleeing from moderation in everything, and it inclines towards extremism in both matters of deviance and guidance. Seek out a companion to help you out in your affairs, and take his counsel concerning matters that occur from both your inward states and your outward affairs. If you do indeed take his companionship, then treat him in a manner commensurate with his state and give him of your counsel based upon his inabilities and abilities, because a perfected friend is no longer to be found. Indeed, in these times even a suitable companion who is agreeable rarely lasts! And beware of the majority of people in matters that concern your religious and your worldly states, unless you have ascertained he has some sound relationship with his Lord based upon a knowledge that is free of his caprice or love of leadership, and a sound intellect free of the pitfalls of hidden agendas. Do not be heedless of the machinations of others or their hidden states. Consider these two from both their origins and their actions. A person of character and family-distinction rarely affects you with other than good. And yet a person of low origin's roots usually cause him to disregard you when times get tough. Be extremely vigilant of the dominant qualities of a given people in any given land, and don't be heedless of the Divine Wisdom in the creation. And notice gathered-ness and separation, some of this we have already covered in our book Al-Qawaa'id, so take a look at it there. Organize your time in a manner appropriate to the time-specific needs using gentleness and toleration. And be very wary of either harshness or laxity. This is so because too much laxity concerning permissible matters pulls the heart backward in its journey, until even a man of resolve ends up looking like a foolish boy. Work for this world as if you would live forever, but work for your next life as if you would die tomorrow. Thus do not neglect the externals of your worldly needs. In the meantime do not be heedless of your end and final resting-place. Be extremely vigilant about avoiding positions of leadership, but should you be tried with such matters at least know your own limitations. Be absolutely sincere to Allah with the sincerity of one who knows full well Who is placing demands upon him. Surrender completely to His Decree with the submission of one who knows he can never overcome Him. Have a firm foundation for all of your affairs and you will be safe from their pitfalls. Organize your devotional practices, and you will find your time extended due to the barakah [blessings] in it. Never be fanatical about anything, whether it is the truth or whether it is false, for your heart will then remain in a state of soundness towards others. Never claim anything you are entitled to - not to mention what you're not entitled to - and you'll be safe from tricks and treachery. This is so because anyone who claims some rank above his own will fall in humiliation. Whereas those who claim a rank they want will have it stripped from them. While those who claim a station less than their true rank will be elevated to even higher levels than they actually deserve. Never give your companion anything of your state other than what his own state wants. This is so because if you go down to his level, he will show you contempt. Whereas if you attempt to raise him up to your level, he will abandon you. Never demand a right from anyone whether an intimate or a stranger. The reason for this is a stranger in reality owes you nothing, and someone close to you is too precious to direct your blame to him. Never assume that anyone in this world can really understand your circumstances other than from the perspective of his own circumstances. This is so because in reality everyone only sees things in accordance with their frames of reference and their personal path. However when aims, purposes and aspirations are similar, people tend to work together toward a common goal. Never belittle any talk that involves absent people, even if there is no harm in it due to the possibility of harm entering into it. Guard your secrets even if you feel safe with someone, because the one you divulge your secret to is not a safer place than your own heart from whence it emanates. Never leave an atom's weight of your regular devotional practice. Never be lenient with yourself in either lax times or times of high resolve. Indeed, should you miss some of your practice in a given time, redress it in another time. If you're not able to do your usual practice, at least occupy yourself with something else similar. Never obey your ego even for a moment, nor believe any of its claims no matter what it tells you. Be vigilant about your resolve in all of your affairs to your utmost. In fact, should you resolve to do something, then do it immediately before the resolve wanes. Examine your soul constantly in matters that you are obliged to do, or are needed to be done. Anything you are in no need of doing, leave it. Even if it is something that is recommended. That means not involving yourself in anything other than absolutely necessary things, and real discernable needs. Treat others just as you would want to be treated, and fulfil to them what is due to them. Guard your tongue and never mention another's faults Remembering you yourself have faults and others have tongues. "O my eye! Other people have eyes too!" Live treating others well And avoid aggression. And should others aggress against you. Leave them but in the best way. The source of these words is in fact nothing other than the traditions of the Prophet (Peace Be Upon Him ) when he said, "Be vigilant of Allah wherever you are, and follow a misdeed with a good deed, and it will remove it. And treat others with the most excellent of character." In another, he (Peace Be Upon Him ) said, "Every child of Adam makes mistakes, and the best of those who make mistakes are those who seek to redress them. Again, the Holy Spirit inspired my heart's core that no soul will die until it fulfils its decreed portion of this world and its appointed time here. So be conscious of Allah and make your request with dignity." In summation, Repentance, Awareness of Allah and Uprightness are the foundations of all that is beneficial. The Truth is clear, and its details are weighty and significant. The affair belongs only to Allah. Success is in His Hands. "The likeness of one who prays, without presence of heart, is like someone sending a King, a gift of one hundred empty boxes; thus deserving his punishment. Whoever prays with presence of heart is like someone giving the king a precious sapphire; worth a thousand gold coins. The king will always remember him because of it." How do I learn Arabic? Firstly, congratulations for choosing to learn the Arabic language; this is one of the most important acts of worship that a Muslim could ever do. Major works of Islam are in the Arabic language and they are not accessible without the Arabic language. Of course the most important and popular reason to learn the Arabic language is to read and understand the words of the majestic Quran. This is the only reason for most Muslims. What is fusha? 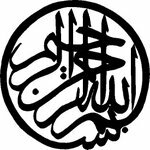 What is classical Arabic? Fusha is the Arabic word for eloquence which is also referred to as classical Arabic. There is also modern standard Arabic which itself is close to classical but with lots modern additions. If this is only way available for you learn then take it but otherwise if you are given the choice then take the classical way but its more difficult. How long will it take to learn Arabic? This depends on the aptitude of the learner and how quickly they can pick things up. There are lots of things that will be thrown at you. For example how well do you know the English language? This will help you, do you know what a verb and a noun are? It can take from one to two years; one year full time and two years part time. This is normal but with people who pick things up easily this can be less but most people are between these times. What are the ways to the Arabic language? In the indo-pak regions they teach Arabic through the Persian language because the books are in Persian. This can be an obstacle to most except for serious students who are already in the madrasa system. This can be done and is not impossible but its one of the hardest methods. Learning through the English language is the best method for those who people like myself have little background in Persian or any other language. The books that you could learn from are the Medinah books or "Arabic course for English-speaking students" devised and taught at Madinah Islamic university by Dr. V. Abdur-Rahim published by Islamic academy. There are many other books but this is the most popular because of the ease of use and the amount of drills that help a learner to memorise the rules. There are many other books that you could use and the golden rule is to stick to the text thats being taught to you. Otherwise you will not get the true benefit of the text that you are studying. If you need to have more explanation ask your teacher and only then seek other material but this should be avoided. Whats the point in learning grammar? The Arabic language can only be fully realised through learning Arabic grammar. It is possible to learn the language without learning the grammar but you will not taste the beauty of the Arabic language. Once you have learnt the grammar and then memorised the rules of sarf - the different changes of the verbs and the patterns. Your understanding will have a deeper level that most Arabic speakers. Whats the best place to learn Arabic? This depends on your circumstances someone once told me to study Arabic for a few months locally and then go abroad. This is good for those who can study Arabic like this but this not the only way. I have met a few people who had a good level of Arabic but had yet to step into a Arabic speaking country. Some have learned Arabic by just speaking to Arabs and picking it up from there. Universities teach Arabic for a year or two then the students go abroad; I'll speak about this later. You can of course, complete your studies in the UK and then travel abroad. If there is a local place to study then use that before going abroad because if you don't there may be a loss in blessings that you may suffer. Some have gone to study abroad when classes were available locally and then found no success abroard. If you have no classes then consider travelling close by and then travelling abroad as a final option. A friend of mine who travelled to Maurtania advised me that there you can find scholars and students who speak only classical arabic and if you speak to anyone in classical Arabic they will reply in classical Arabic. Which is not the case in many countries some will not know what to do and reply in local daliect. Althought the rough terrain of the desert is good for some but not accessable to all. Where in the Arab world should I study? This is something that has been debated over for many years; which country has the best Arabic? The one with the best classical Arabic? Well it almost does not matter because you will spend most of your time speaking in lectures as the average person will not speak classical Arabic. You will have to find someone who can speak classical Arabic and stick to that person. Every country its advantages and disadvatages. If you do go abroad then force yourself to speak Arabic as much is as you can. Do not even speak to your friends in English speak to them in Arabic. Where else can I study? Apart from studying part time you can choose to study full time which is what the language courses of the universities do. This is normally a four year course including other subjects as well this includes a year abroad somewhere in the Arab world. On the other hand I know a friend who studied in a french institute in France and because he did not know french he was forced to speak Arabic. He came out with an excellent level of Arabic. Arabic at first can be very difficult. The fall out rate from Arabic courses is shocking because its one of the hardest languages that a person can learn. Muslims should know that this is an act of worship and the end result is worth it. So keep an eye on the end result, being able to comprehend a sentence of the Quran and eventually read Arabic books. It is the language of the Quran so its not going to be easy but it will be worth the effort. There are concepts and sentence structures that you might not be familiar with and this won't help you. You have to study hard and memorise an example of the rule. This will help you but peristance and hard work is the key here, as it is with other subjects. You need to be dedicated, its a long walk which can be taken in strides or baby steps your choice. Keep putting in the effort, do the homework that have been set for you. Know that Arabic is an exact science and you are either wrong or you are right. When you find a teacher you must stick with that teacher until you have finished studying those texts with him or her. Part time you should at least know your lesson well, memorised the vocab and the rules. This can take up an hour or more outside the lesson time. Full time you need to do at least a few hours a day on top of your normal lessons. Use all the materials at hand to learn Arabic, Arab television, reading the Quran then reading the translation. Once you have a sound basis you will still need to attack texts with a dictionary and learn more vocab. This is also very tedious it can take time find words and you may need more than one dictionary. Finally once you have learnt Arabic to a good level you still need to use it on a regular basis or you will forget it. I am just giving out advice based on my own and other peoples experiences learning Arabic. I am not saying that there is only one way; maybe your way is different but this what I have experienced and I wanted to pass this on in the hope to guide others. I was speaking to a friend of mine and we spoke about learning of Arabic and the following is the fruit of that discussion. There are three levels to learning Arabic; There is a level one which is basic grammar and etymology, level two is vocab and level three is understanding. These are levels basic to intermediate and there is no time limit on either.